The Intertext series has been specifically designed to meet the needs of contemporary English Language Studies. Working with Texts: A Core Introduction to Language Analysis (second edition 2001) is the foundation text, which is complemented by a range of 'satellite titles. These provide students with hands-on practical experience of textual analysis through special topics, and can be used individually or in conjunction with Working with Texts. 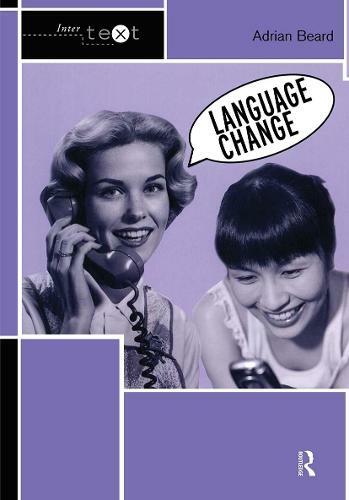 examines the way external factors have influenced and are influencing language change, focusing on how changing social contexts are reflected in language useexplores the attitudes, values and assumptions that shape the way we use languagelooks at how language change operates within different genres, such as problem pages, sports reports and recipesprovides lively examples from everyday communication, including letters, emails, postcards and text messagesincludes a unit on how new words are formed and features a full glossary.